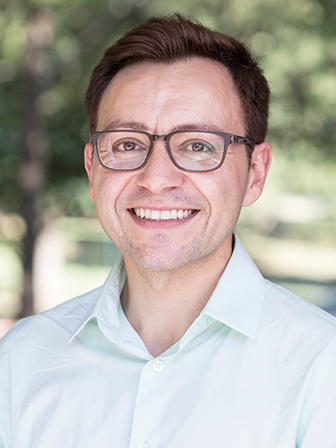 Rafael Valadez is the Visiting Croft Assistant Professor in Spanish for the Croft Institute for International Studies at the University of Mississippi. He is a scholar of web-based literary and cultural production of contemporary Spain and his research is guided by technology's convergence with established literary, film, and media genres as well as the creation of new literary genres and cultural texts created by the digital world's advances. Attached to those main areas are an interest in gender, sexuality, and marginalized communities. Dr. Valadez holds a Ph.D. in Spanish from The University of Kansas with a specialization in Modern Peninsular Literature and Culture. He is currently working on a book manuscript tentatively titled, Digital Formations/Literary Mutations: Transformations in Spanish Electronic Literature of the 21st Century. Dr. Valadez also holds a M.A. in Hispanic Studies from Louisiana State University and a B.A. in Language Studies from the University of California, Santa Cruz. Dr. Valadez's interests include modern Peninsular literature, film and culture; women and gender studies; electronic literatures and digital cultures; and technology as a means of advancing the teaching of Spanish to develop engaging curriculum for the 21st century student.